Puppies are turning 4 weeks tomorrow. 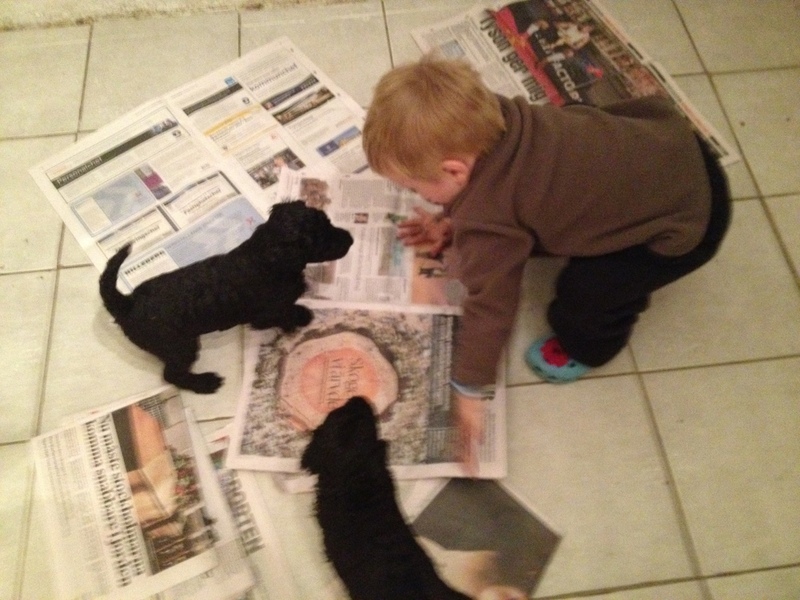 Here is William helping out to clean at the puppies. Now we are tired late dinner last night with Carl Haglind from Vom og Hundemat. Groomed Tia today and will continue tomorrow for the shows in the weekend. ← Kira had 10 puppies!